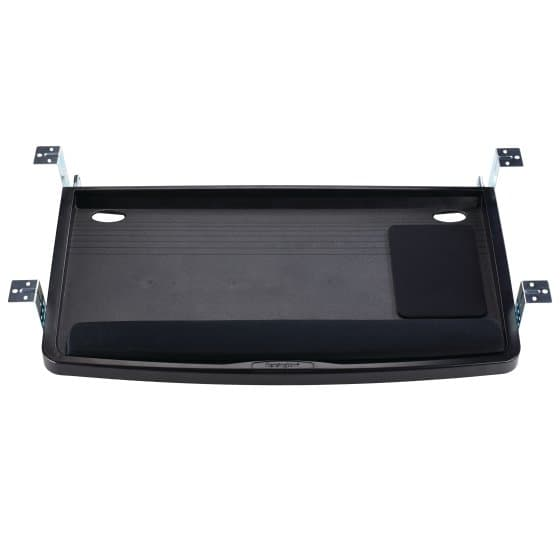 Keyboard drawer uses SmartFit® System – Measure, Adjust, Fit. Workspace that works for you. Sliding drawer has ample room for keyboard with wrist rest and a mouse with mouse pad, and can be installed at 1 of 3 height levels. 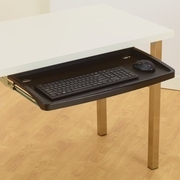 Under-desk design maximizes desktop space and keeps keyboard neatly tucked away when not in use. Dimensions: 29.5"L x 28.0"W. Height levels include 2", 2.5" and 4"